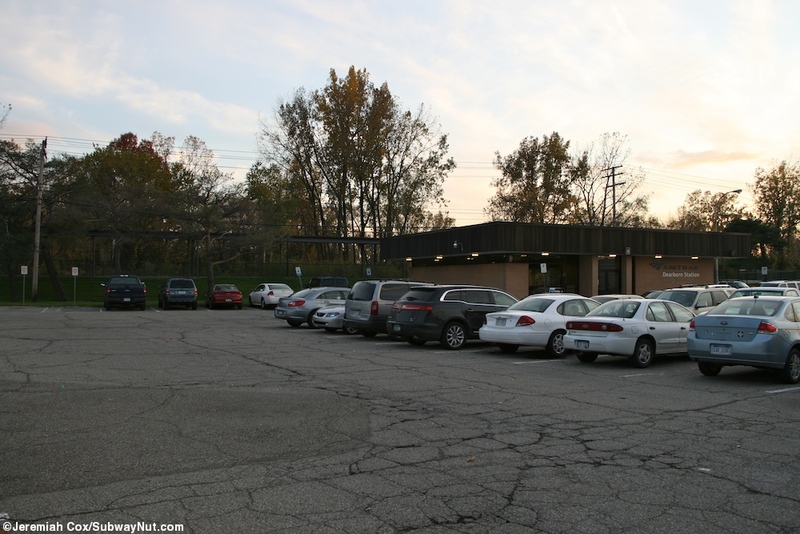 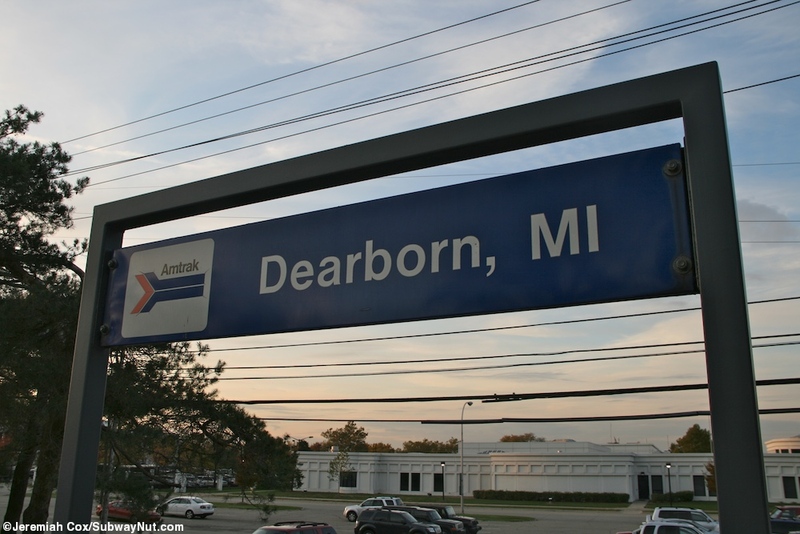 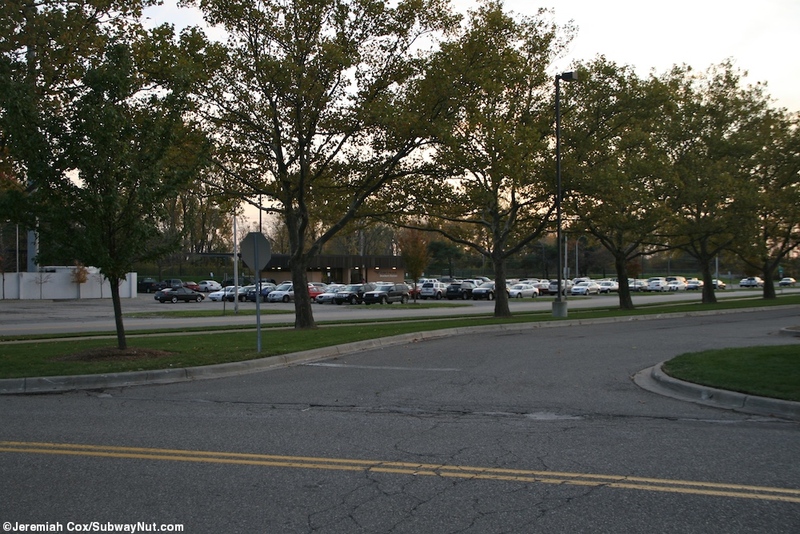 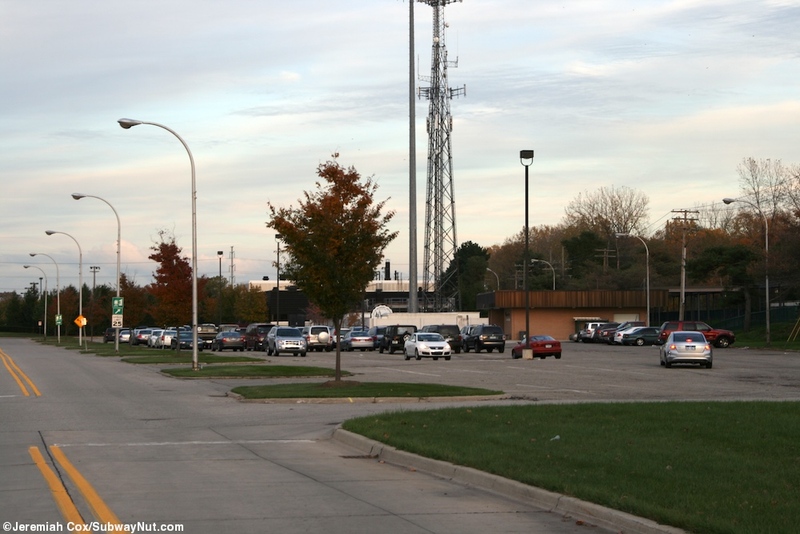 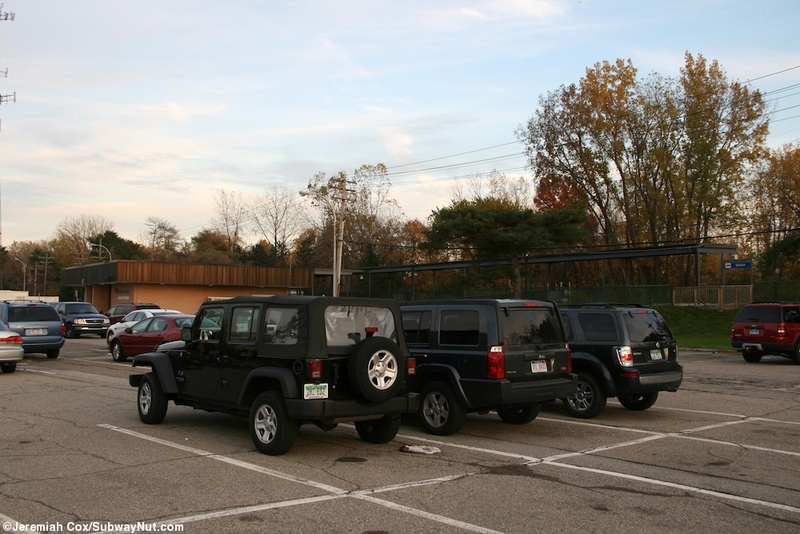 Dearborn is a suburban Amtrak Station and definitely a much easier and safer place to park for instance than the station in downtown Detroit. 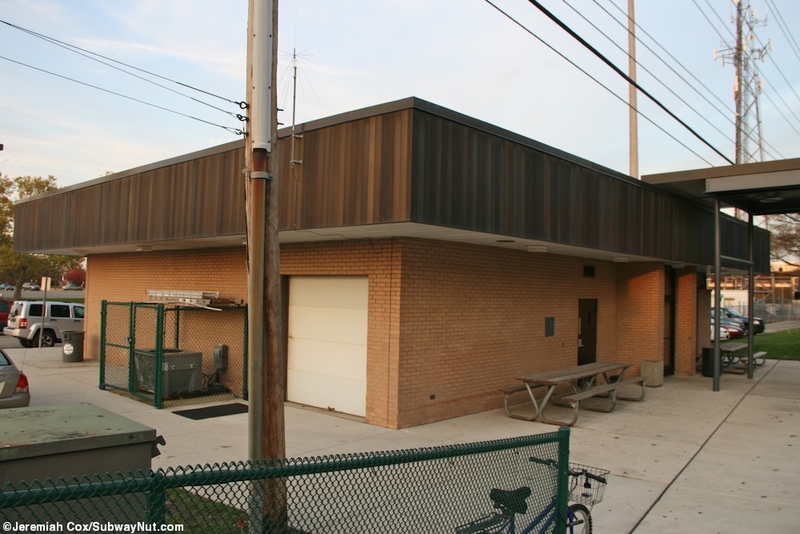 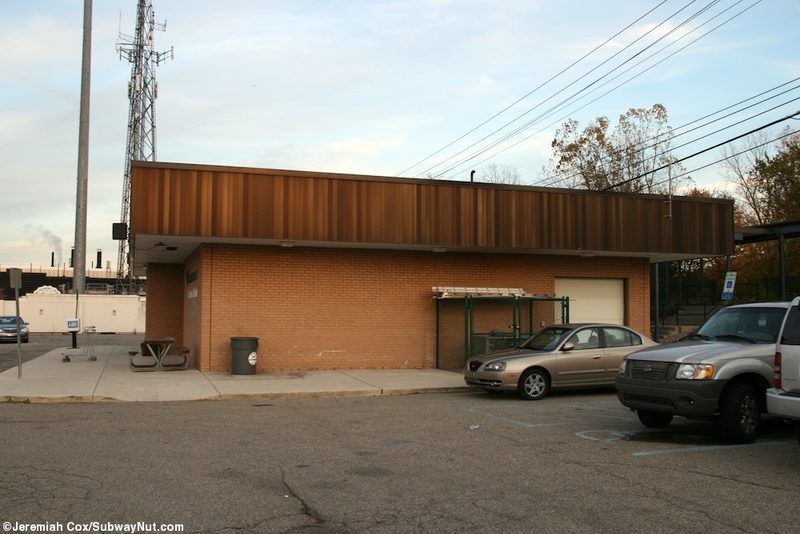 It is of the first generation of Amtrak built depots and opened in 1982 with brick walls and a flat bottom black metal roof. 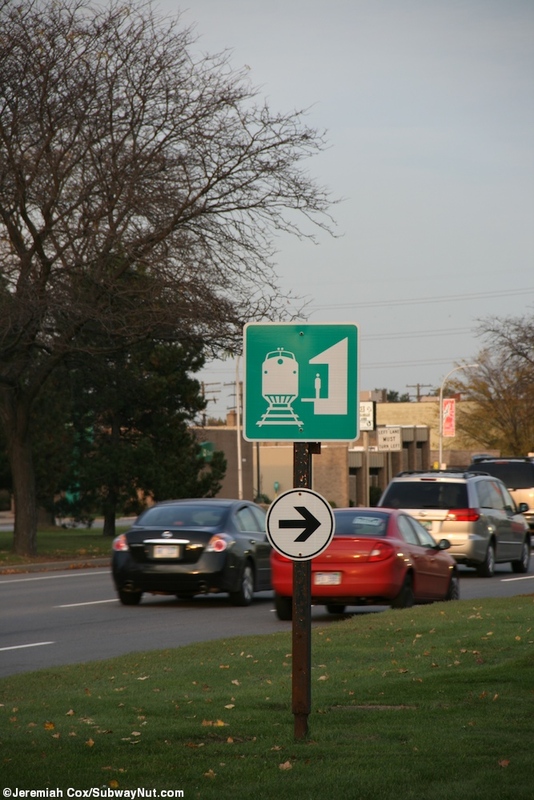 The station is located behind a large parking lot just a block south of busy Michigan Avenue with frequent SMART bus service into downtown Detroit along Reckinger Road and is across from the Dearborn Ford Community and Performing Arts Center. 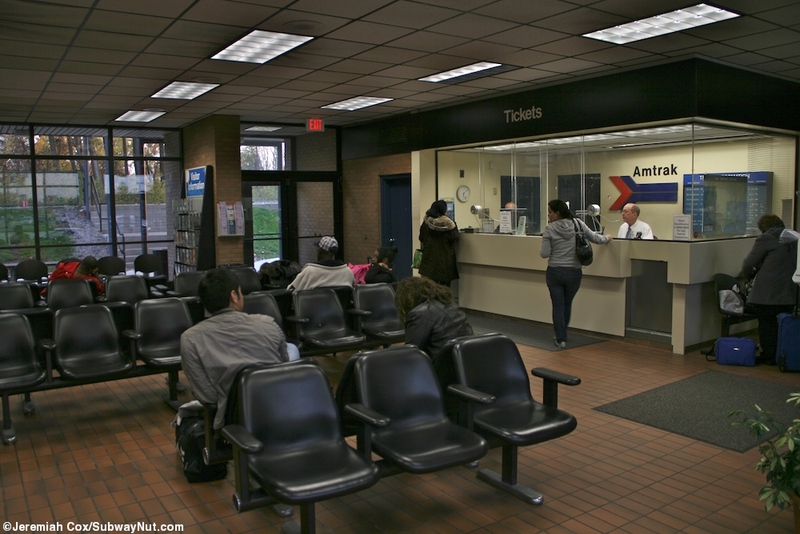 The depot interior consists of a small waiting area with black chairs with arms that feels a bit cramped for the stations high ridership and has a staffed ticket office with the old pointless arrow on the wall beyond. 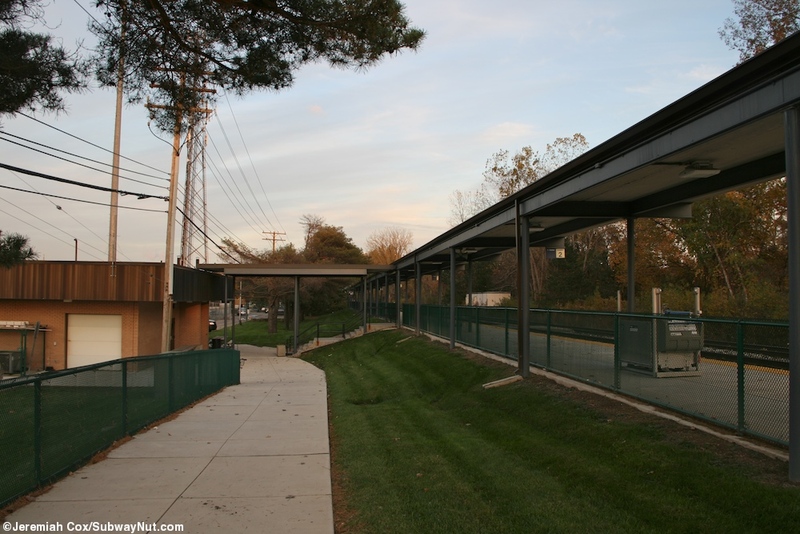 Wolverine trains currently don't offer baggage services, but the station definitely has the facilities from a scale at the ticket window to a rear baggage door behind the office to do baggage service if it is ever reinstated. 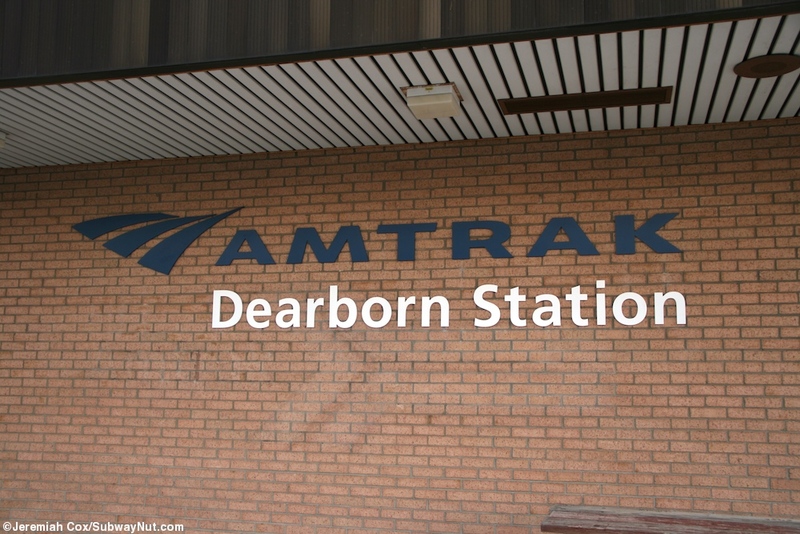 The exterior of the depot now has a new blue Amtrak logo and Dearborn Station is written in white beneath. 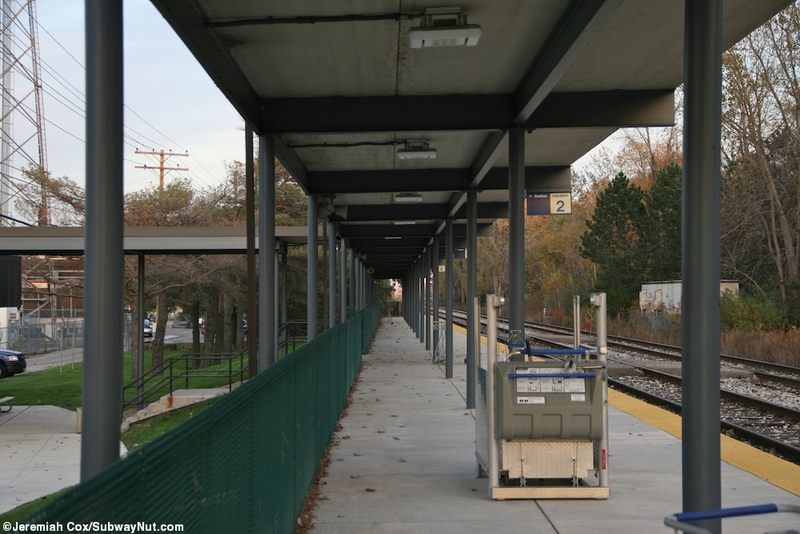 Access to the platform is uncontrolled with no fences keeping passengers inside the station, and consists of a second set of doors that lead to an awning away from the station house that directly connects to ten steps up to the concrete platform with a tactile warning strip that is also canopied for most of its length. 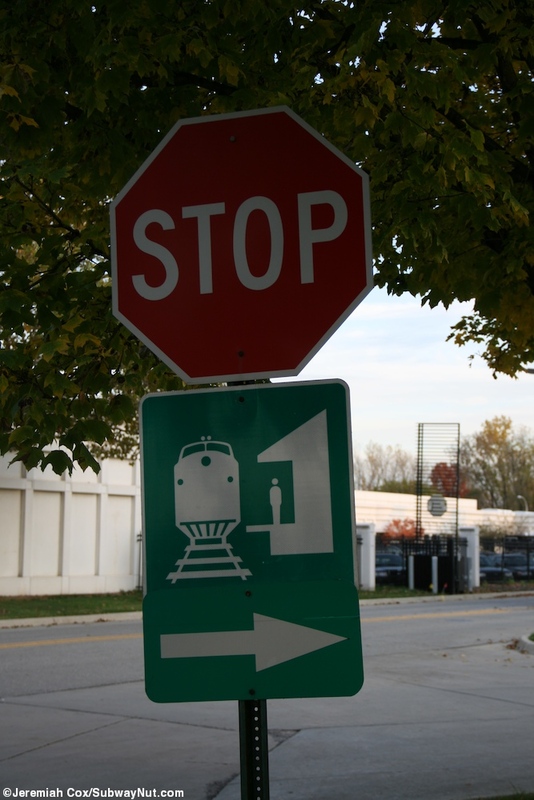 There a few old blue pointless arrow Dearborn, MI signs on the platform. 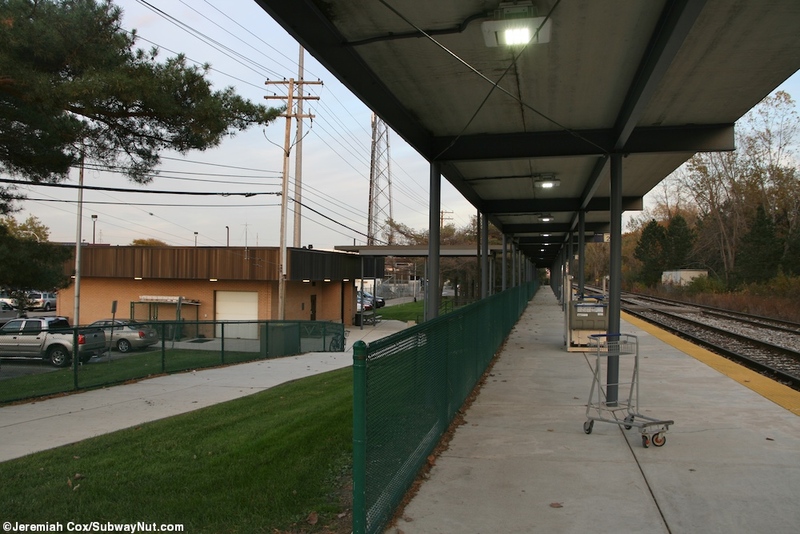 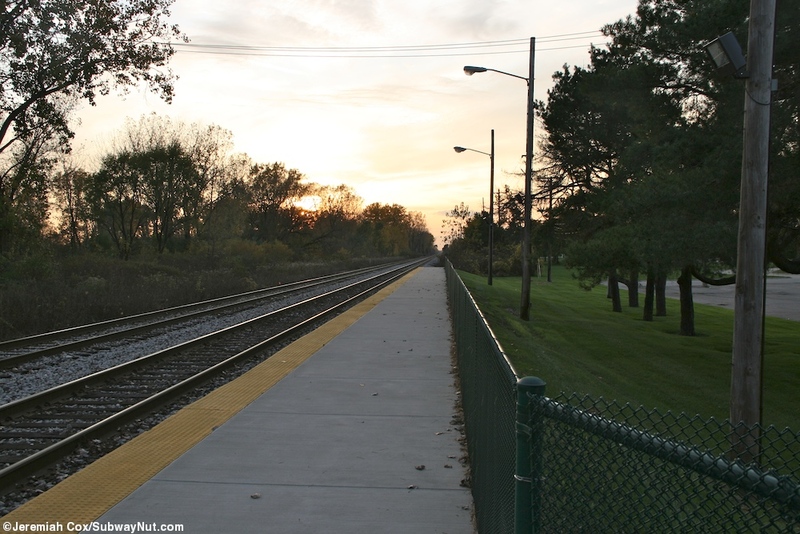 The platform also has an exposed ramp that takes a gentler path away from the depot and up to the platform. 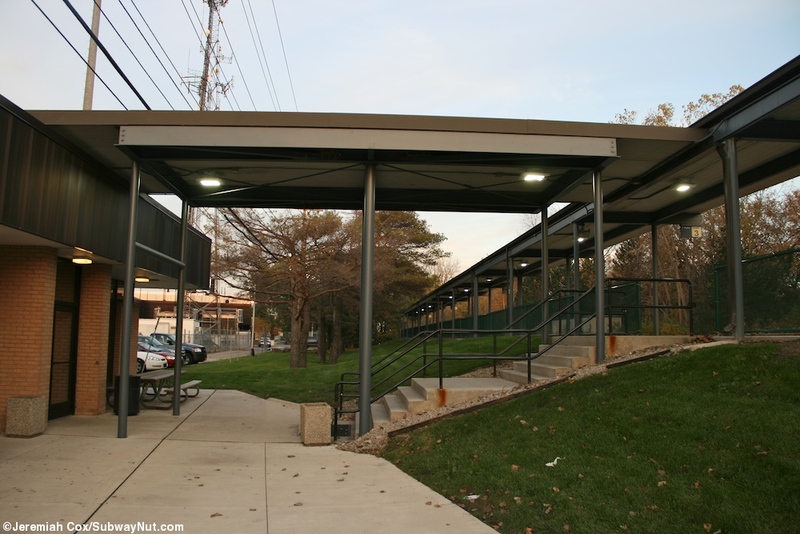 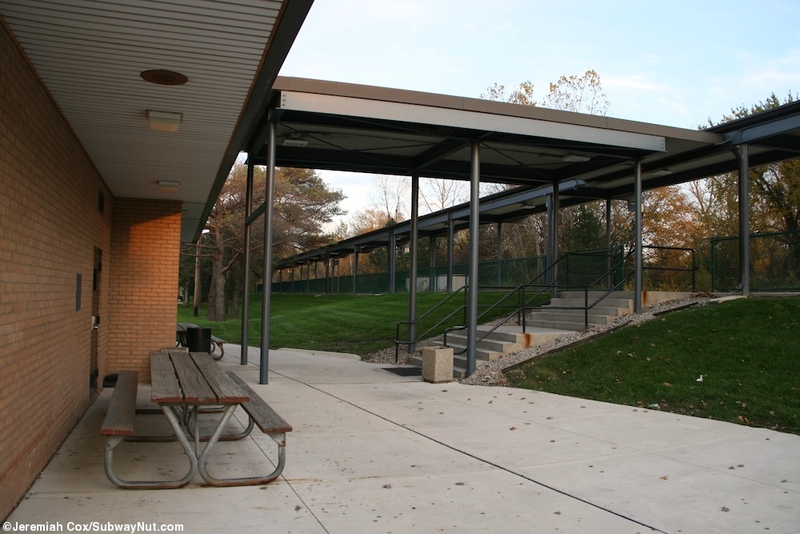 The steep slope down from the single platform to the depot and parking lot has a low green fence to avoid people falling down and just a mobile-lift for ADA train access but no lift enclosure.